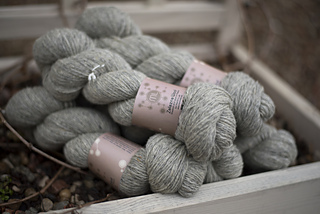 Zelazna Wool, sheared and spun in central Poland, comes from Owca Żelaźnieńska, a hybrid sheep belonging to the Polish Lowland group and found throughout the country. 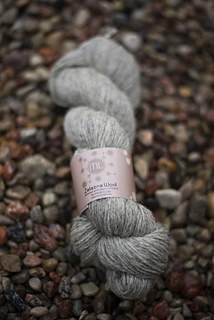 In an effort to produce high quality wool in less-than-ideal conditions, the Zelazna breed was developed at the Warsaw Agricultural University by crossing the now extinct Lowicz sheep with Leicester Longwool and Polish Merino. Because this fiber is woolen spun, it is light and airy yet very warm and is ideal for knitted sweaters and accessories with rustic character. However, it’s not recommended for next to skin wear, if you are sensitive. Fiber content: 100% Zelazna Wool. Care: Hand wash only; cold water. Lay flat to dry. To avoid felting, do not wring or spin-dry.